Our nearly fifty employees are dedicated to bringing our clients the industry’s best services and competitive products through our unprecedented product knowledge and differentiated industry expertise. 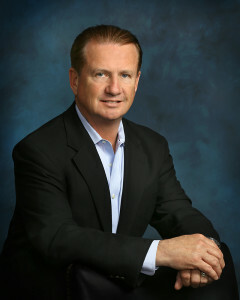 Tom is the CEO, President and founder of True & Associates. After graduating Villanova with a B.S. in Business Administration, Tom spent six years on the insurance carrier side of the industry underwriting contract surety, middle market property and casualty and national account insurance programs. He held positions from underwriter to regional manager. One year was spent in Marsh & McLennan’s National Accounts Division as an Executive Risk Planner. In 1984 True & Associates opened its doors employing four people and $600,000 in premiums. Today the agency employs forty five insurance professionals and writes in excess of $60 million in premiums. Tom’s broad experience and skill sets are reflected in the values and technical capabilities of True & Associates, the agency’s personnel, its structure and their valued clientele. Tom is a past Board of Director of the Professional Insurance Agents. He held a seat on the New Jersey Department of Banking and Insurance Commissioners Advisory Board and the New Jersey Workers Compensation Bureau’s Advisory Board. He has chaired numerous Insurance Carrier Advisory Boards. Currently, Tom is on the Board of Trustees of a Montessori School and on the National Board of a minor league Baseball Franchise. Bill is currently a partner and COO of True & Associates. Prior to joining the firm, Bill spent 30 years in the insurance business holding senior management positions with CNA, General Accident and One Beacon Insurance Companies. In these positions Bill had the responsibility for sales and marketing for the United States as well as the leadership of insurance operations for New Jersey, Pennsylvania, Delaware, Maryland and the district of Columbia. This experience provides him with a unique perspective on the industry’s product, underwriting and pricing strategies when negotiating for his clients with the insurance carriers. Bill maintains a pulse on the construction industry by participating in a number of construction trade associations. His commitment to the industry has resulted in his election as President of the New Jersey Subcontractors Association. Born and raised in New Jersey, Bill’s education includes a degree in economics Upsala College, a graduate degree from Henley College in the U.K. and studies at the Wharton School of Business. Marc is currently the Senior Vice President of the Surety Division of True & Associates and manages the agency’s over 130 clients. Prior to joining the firm, Marc was an underwriting supervisor at a division of Kemper Insurance Co. and was responsible for handling the New York and New Jersey territory. Marc’s team of six underwriters dealt with over 40 agents, supported over 200 construction companies ranging from heavy highway contractors to general contractors and specialty trade contractors which generated $20,000,000 in premium revenue. Right out of college Marc spent five years working for a medium sized public accounting firm where he gained extensive experience in preparing corporate financial statements, corporate tax returns, personal tax returns and field auditing experience. This unique financial insight gives True & Associates’ clients a huge advantage when dealing with CPA firms and surety carriers. Marc maintains a close pulse of the construction industry by participating in a number of construction trade associations such as UTCA, CFMA, BCA, & NJSA. Marc’s education includes a BS degree in both accounting and finance from LaSalle University.